Time stopped within, but the world paid no notice... 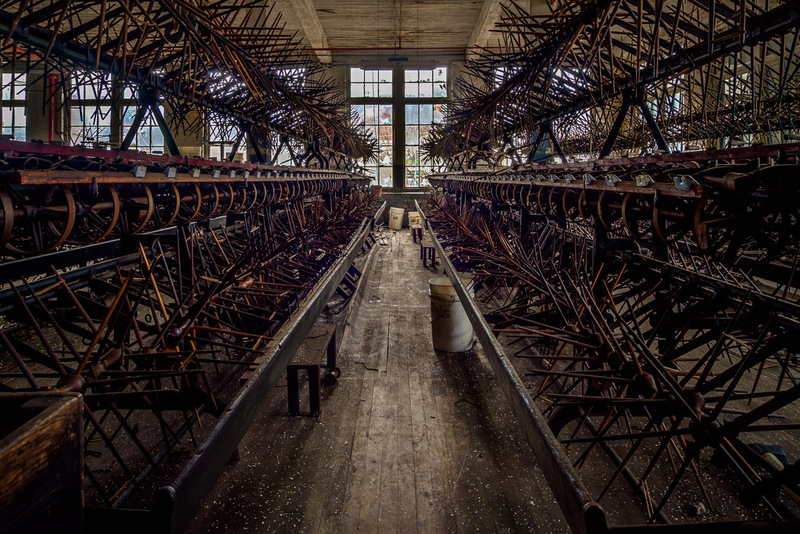 I made a trip to a Silk Mill once known as the Klotz Throwing Company, but also as Lonacoming Silk Mills. I will have a few more but I'm very tired. I photographed a party the night before, got 4 hours sleep, then drove 4 hours each way to Lonaconing! Photographed with an Olympus E-M5 and 9-18mm f/4-5.6 lens.